I found a tweet by Jewschooled that perfectly sums up Parshat Korach – #Korach: Serve with humility, responsibly, and with love. I can’t think of a better metaphor for staff week. The energy at camp is palpable – with every day we greet more members of our Yavneh community. Hanhallah (Leadership) has been preparing, yet nothing can prepare us more than having close to 100 roshei aydot (unit heads) and madrichim (counselors) descend on camp this week with their contagious spirit . Last night, the tzevet tochnit (programming staff) introduced a powerful new masoret (tradition) to camp- a passing down ceremony in the Ben Tzvi. 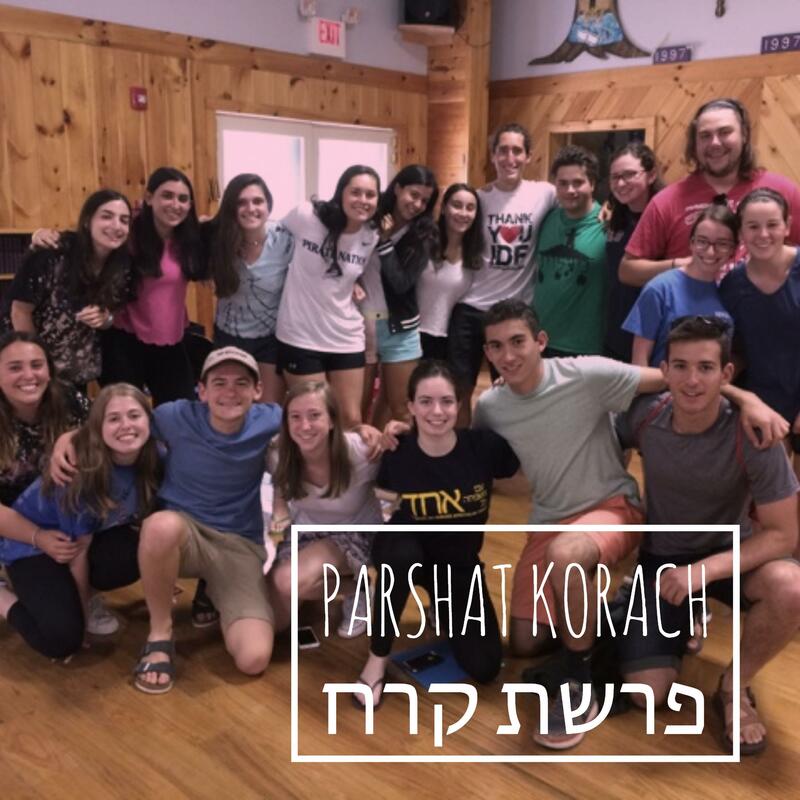 Davida and Meir charged the roshes with a powerful message, the roshes then stood up and conveyed their wishes onto the vatikim (veteran counselors) who in turn described their first summer to the chadashim (new counselors). Two representatives from the chadashim talked about the power of strong leadership. They were then handed their tzevet shirts and officially welcomed to the Yavneh staff. It was powerful to hear how leadership manifests itself from four different perspectives. There is a compelling lesson in Parshat Korach about leadership and navigating how to lead under pressure. In B’midbar 18:7, it is written, Avodat matanah eten et kehunatkhem, “I make your priesthood a service of dedication.” (JPS, Eitz Chayim) The word “matanah” is often translated as a gift and the word “avodat” as work. The juxtaposition of these two words when it comes to the power of summer camp is striking to me. Madrich after madrich has told me they see their one of their main jobs this summer to create meaningful moments for their chanichim just like their madrichim did for them. While being in the tzrif (bunk) is incredibly demanding work, all the hard work pays off when they see how happy their chanichim are at camp. We don’t often think of work as being a gift, but summer camp is that exception to the rule. On behalf of the entire tzevet, Shabbat Shalom, and we will see many of you this week!